← It’s a Grandma Thing. 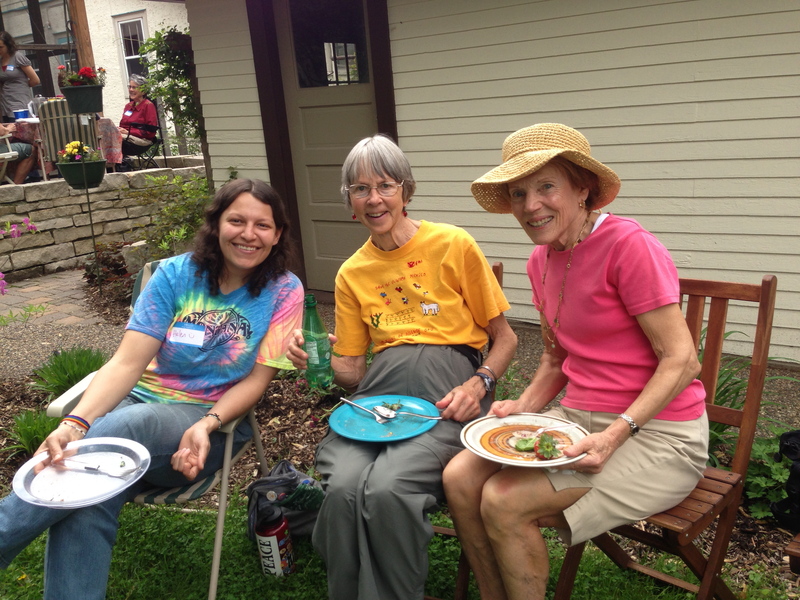 Making new friends was easy at a Sister Parish regional potluck held at the Saint Paul home of Nancy Wiens and Rick Nelson on Saturday June 1st. 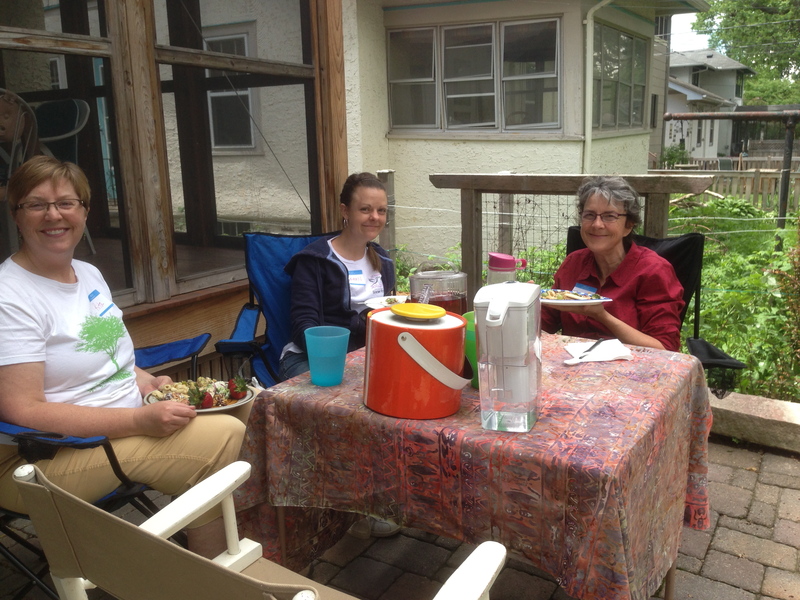 Executive Director Carrie Stengel was in the Midwest visiting family and friends, so board members Nancy Wiens and Sarah Jerde decided a good old fashioned potluck was the ticket for gathering SP friends from the region. “I really enjoyed meeting people from other SP communities. We reminisced about SP delegation experiences and learned about the activities SP churches are engaged in,” said Jerde. 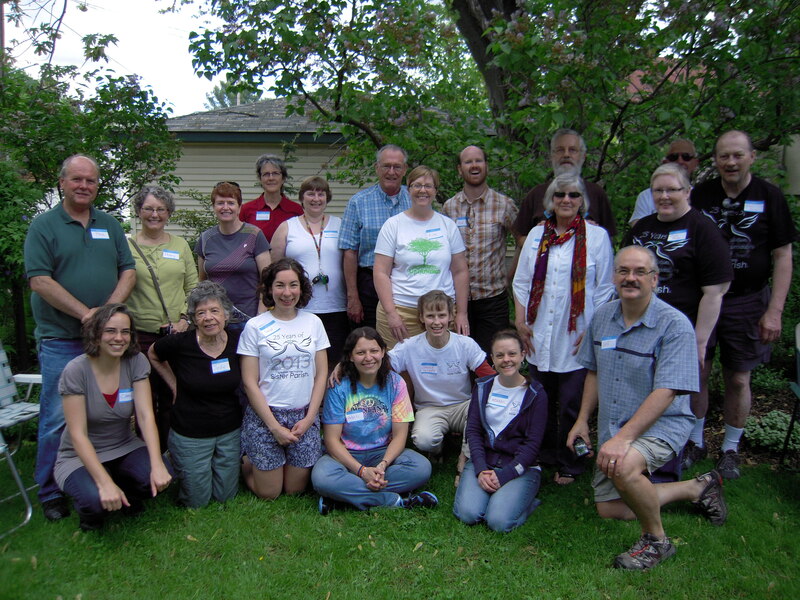 The potluck was a success, gathering SP friends from three states and five churches: St. Joan of Arc Catholic Church of Minneapolis, First Lutheran Church of Duluth, First United Methodist Church of Decorah, Faith Lutheran Church of West Fargo, and Incarnation Lutheran Church of Shoreview, Minnesota. A delicious spread of food was shared, after singing the chorus “Alabare” as a table blessing. This entry was posted in General and tagged board member reflections, decorah, duluth, Faith Lutheran, incarnation, NAC, st joan of arc. Bookmark the permalink.